The iPad already has very impressive battery life and regularly lasts all day, but who wouldn’t want to have their iPad last even longer? With a group of simple tips, you can extend an iPads battery life even further and get the absolute most out of your tablets battery for as long as possible. These tricks are the real deal, and we’ll focus on things that actually work. 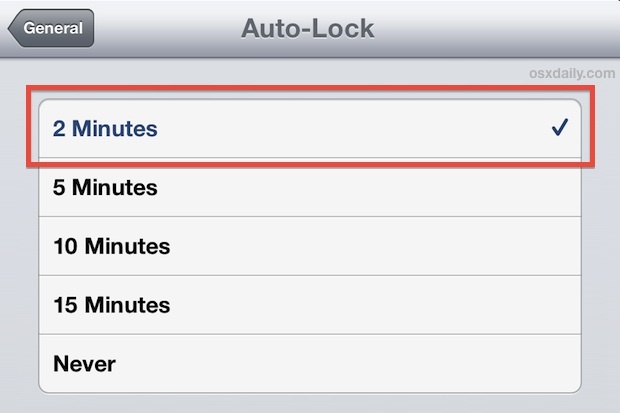 Let’s get started and maximize your iPad battery. For the best possible battery life, keep the brightness as low as it can possibly go. Just like when extending battery on an iPhone, this single tip makes the most difference of all, because the backlit display is one of the most significant drains to battery longevity. In iOS 7 this is made even easier because you can access brightness controls from the Control Center screen. Do note that turning off auto-brightness will have the opposite effect if you set the brightness level too high, because it will prevent the iPad from adjusting itself down when in dim light. Not using the iPad? Hit that top power button to lock the screen and turn off the display. Just a quick tap is all that’s needed, because holding it for too long will turn the device off. This helps for the same reason the screen brightness tip does, it prevents the battery-hungry screen from being active more than it needs to be. This basically means if your iPad is left alone for 2 minutes or longer, the screen will lock itself, which if you’re concerned about battery is what you want. This is all the more important if at some point you set the screen to never dim or auto-lock, which drains battery quite fast. Speaking of screen locking, you do use a lock screen passcode, don’t you? No, it’s not going to save you any battery, but it will give you more privacy and peace of mind… taking this theme a bit further, consider disabling the simple pass codes and going with a more secure variation that uses the full keyboard for the passcode. 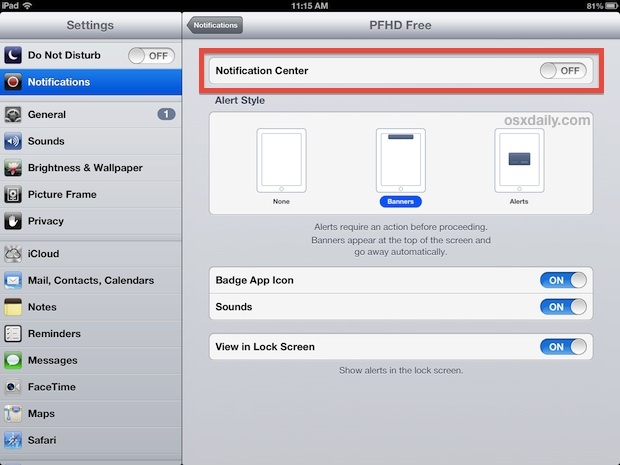 Think about your usage of the iPad when addressing Notifications and what apps can send them out, for many of us, it’s surprisingly few. Perhaps just Messages, FaceTime, and one or two others. 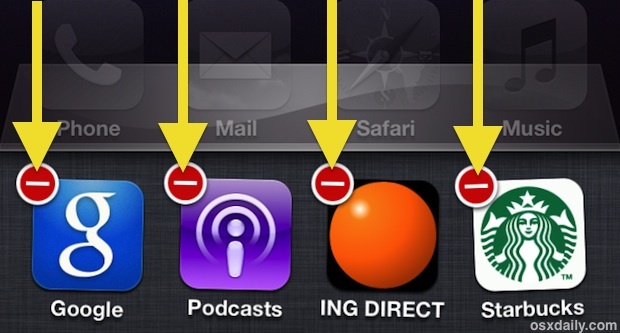 Turn off the rest, especially for games and apps that nag often with annoying largely meaningless alerts. It’s kind of amazing how many apps want access to location data, and while on something like the iPhone that could make sense, on the iPad it’s much more rare. The iPad isn’t the iPhone, and realistically, it rarely needs your location to perform functions, thus you should be much more aggressive with denying Location requests. When an app asks for Locaiton data, think, does this really need my location to work? If the answer is probably not, choose “Don’t Allow”. Do this for almost everything. The only apps I let use Location are ones that actually need your location, whether that’s maps related, things like Siri, PBS app and TV guides since they use your location to show you what’s on TV, but outside of particular varieties, little else needs it, and they will just drain battery to retrieve that information. The percentage indicator is also a good way to easily measure the impact of certain apps usage, and if you see a percent or two tick away rather quickly when using a particular app, you can make a decision as to whether or not it’s necessary given your current battery needs. Of course you should use the App Store, and of course you should update your apps… except when you’re trying to really squeeze the most out of your iPad battery and make it last as long as humanly possible. This is because internet usage for downloading the screen shots, store screens, and downloading apps themselves uses more battery power, whether on wi-fi or cellular connections. 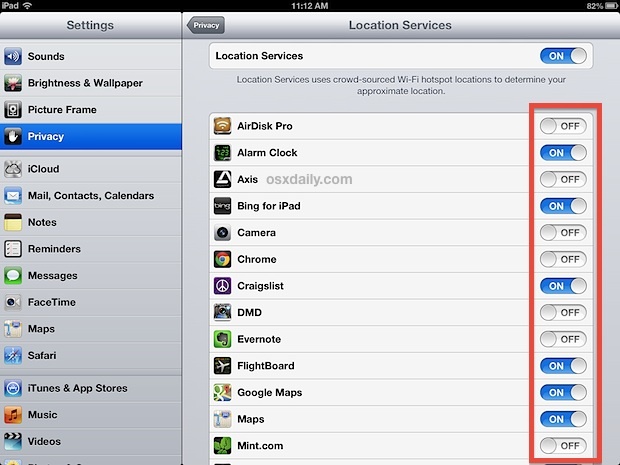 Additionally, the action of updating and installing apps uses the iPad processor which also milks the battery a bit. Basically, unless there’s an app that you really really want to download or update, just skip this process when in battery conservation mode, and leave the updates and store browsing until later when you care a bit less about the potential battery drain. This is obviously more of a usability tip, but it does make a difference. 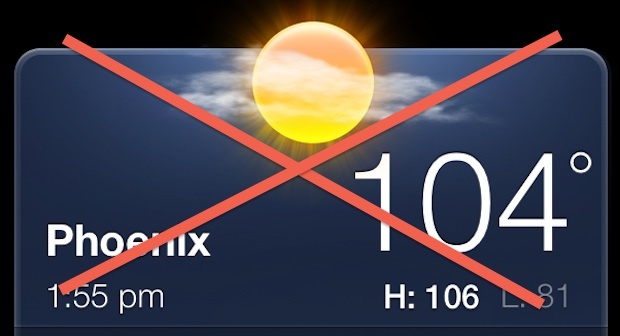 Heat is detrimental to all electronic devices and their batteries, and the iPad is no different. This is so easy to do, and it does make a difference. All you need to do is keep the iPad out of intense heat. That means don’t try to use it in direct sunlight on a 95 degree day, and don’t leave the iPad baking on the seat of a hot car while you shop for 10 hours at the Apple Store (lucky you). With it being summer, this is particularly true. Not only will this make your battery last longer at the moment, but this actually will help to improve the longterm battery life of the iPad. Remember, intense heat = bad, whether its a Mac, iPad, iPhone, or anything else with a battery for that matter. *Oh boy here we go, the dreaded quit app recommendation. This is usually the single most misreported ‘trick’ to improve battery life on any iOS devices… but guess what? It does work sometimes because some apps do drain battery life more than others. Typically these are the apps that are accessing Location data or are transferring things in the background. If you’ve been following along here you’ve probably already turned off a lot of Location usage for apps, but don’t feel bad about just quitting the apps that you know are using location data that you don’t need to use at the moment. Want to go further? You can quit multiple apps at the same time by just tapping the close buttons simultaneously, using a little-known multitouch trick. Your Genius Bar friends will hate you, but hey, quit all those unneeded apps. Easy. Plus, this gives you the opportunity to install iOS updates, and it has the side effect of halting and quitting all background apps if they were causing any issues. This isn’t much of a direct battery life extension trick, but if your iPad is experiencing some unusual battery drain, set aside the time to backup the device to the computer, then restore the device with iTunes. It’s quite rare, but sometimes a preference or something within the iOS system software itself can go errant and lead to excess battery drain, and restoring the device almost always resolves the issue. If you do restore and still experience unusually short battery life, call Apple or visit an Apple Store. Got any great battery tips for the iPad? Let us know @osxdaily on Twitter, on Facebook, hollar at us on Google Plus, or send us an email. Comments are disabled for the moment. Thanks for this. I’m wondering what the best charging regime is for maximising battery life in the long term – does it make a difference if I charge it every time it, say, goes below 70%, or wait until it completely runs out of battery before recharging? And if it has run out of battery, does it matter if I charge it to 20%, unplug and use it a bit, then charge some more, versus charging it fully before unplugging?